It’s a sweet YA (young adult) story of two college students who fall in love after not getting along so much. I had read it a couple of years ago and read it again this weekend. Even if I knew how it ended, I still enjoyed it very much. Anyta Sunday wrote real characters with real issues and sincere emotions. Being young and gay and entering into their first relationship (for one of them a first relationship, and the other a first gay relationship), they face issues that most teens, gay or straight, face everyday: acceptance from friends and family, getting comfortable with intimacy, and most of all trust. It’s what most of us have lived through when we starting dating. Us straight people didn’t have to announce to our parents that we were gay and didn’t have to live through that angst, but for the most part it’s pretty accurate for everyone. I just love sweet stories. 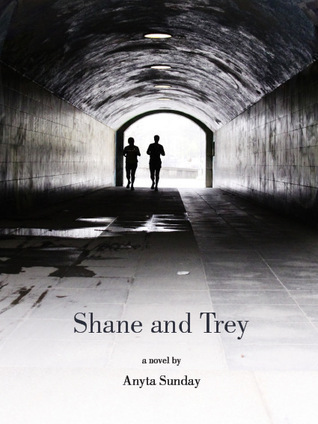 This entry was posted in Uncategorized and tagged book, first love, Gay Theme, novel by Phoebe Sean. Bookmark the permalink.